The future of websites is here. HTML 5 isn’t just a new way of designing, building, and coding business websites – it’s a platform to make every site load faster, be more consistent, and produce fewer errors. With embedded codes to replace the kinds of traditional software that have been used to create videos, articles, and more, HTML 5 promises to improve every aspect of the Internet, for both customers and marketers. At Medora, our web developers have been at the forefront of these changes. We are fluent with HTML 5, and have an understanding of where it is right now… not to mention where it will be headed in the next few years. If you want to build a business website that truly has the capability to last five years or longer, HTML 5 with Medora design is a good place to start. Building your business website with HTML 5 makes it easier for the major search engines to see what’s on your pages. That means higher rankings on Google, Yahoo, and Bing. Because HTML 5 resolves broken links and other errors differently, your shoppers are far less likely to end up at a “dead end,” and a lot more likely to keep looking for what they want. Better value in business web design. 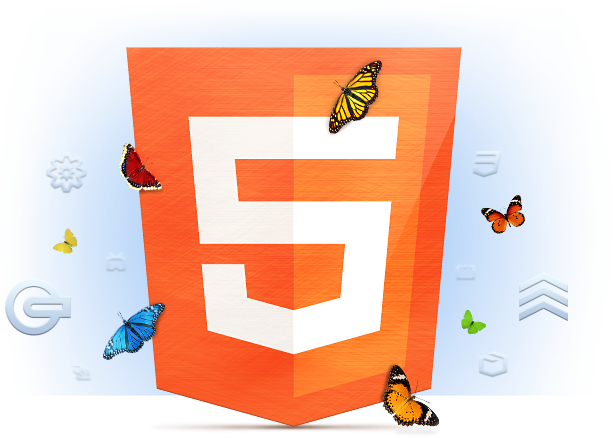 HTML 5 is still catching on, and is destined to grow for years to come. Working with it now is a great way to get a longer life out of your next business website. With its unprecedented compatibility, HTML 5 offers you the chance to build a business site that can be seen correctly by anyone, anywhere in the world. Embedded animations, videos, and more. Because HTML 5 is designed to work with more browsers, your visitors and customers don’t have to worry about plug-ins and software being up to date.